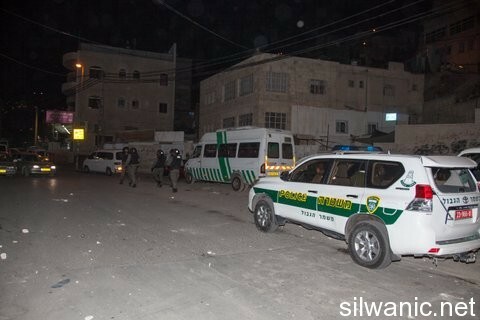 On Tuesday night, several settlers assaulted young men from Haleisi family with pepper spray and severely beat them in Silwan Witnesses said that nearly 15 settlers attacked the cars of Jerusalemites that were parked in the land of the family in the neighbourhood of Nabi Daoud in Silwan. When the Haleisi family noticed the assault, the young men tried to confront the settlers who sprayed pepper gas at the young men and then severely beat them. Wadi Hilweh Information Center was informed that the police arrived in the area and provided the settlers with full protection and then arrested Mohammad Haleisi and his cousin Mohammad, and then released them after detaining them for half an hour. The police also detained Yousef Haleisi when he went to Salah Eddin Street police station to file a claim against the settlers. Three Palestinians were shot and injured by Israeli forces as they broke up a protest in the central West Bank on Wednesday. Protesters marched near the Ofer detention center west of Ramallah in solidarity with hundreds of Palestinian prisoners currently on hunger strike in protest against their detention without trial by Israeli forces. Clashes broke out after Israeli forces fired tear gas and stun grenades to disperse the protest, and three were wounded after Israeli forces opened fire with rubber-coated steel bullets. 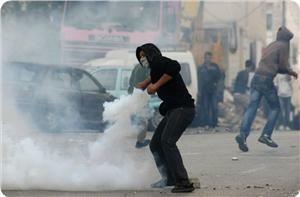 Dozens also suffered from excessive tear gas inhalation. The incident occurred at the same site where Israeli forces shot dead two Palestinian teenage boys in mid-May during a similar protest near the prison. More than a hundred Palestinian prisoners have been on hunger strike since April 24 in protest against their "administrative detention" by Israel, and hundreds more have joined them since the strike began. The original 100 hunger strikers have all been hospitalized in the last week, and thousands have attended solidarity protests with them across the West Bank and Gaza Strip under the banner of "Water and Salt," a reference to the daily diet of the hunger strikers. Palestinian prisoner human rights organization Addameer estimates that around 183 Palestinians are currently being held in administrative detention. Over 800,000 Palestinians have been detained since 1967, with 5,224 currently being held in Israeli prisons, according to the PLO. Israeli Occupation Forces (IOF) launched a series of arbitrary raids into different areas of al-Aroub refugee camp, north of al-Khalil, and in Jenin at dawn Wednesday and on Tuesday night. 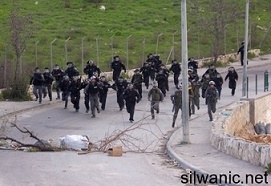 Dozens of Palestinian natives were left wounded in the process. Israeli patrols invaded al-Titi, the Grand Mosque, and al-Jawabra neighborhoods and stationed at the main entrance to Aroub camp. 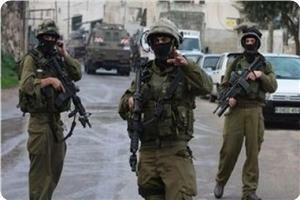 The soldiers rummaged through several Palestinian homes, local sources reported. Meanwhile, violent clashes broke out in the nearby Beit Ummar village, where scores of Palestinian teenagers were shot with rubber bullets while many others suffered breathing problems due to the heavy firing of gunshots and tear gas canisters by the IOF. In a related event, the Israeli patrols on Wednesday handed demolition threats to Khirbet Umm al-Khair natives in Yatta, south of al-Khalil. The notifications targeted a public garden under pretext of illegal construction along with a chain of barbed wire set to protect the lands from the illegal Israeli settlement expansion in the area, activist Rateb al-Jabour told the PIC. The demolitions come at a time when hordes of Israeli extremist settlers, backed by the IOF, have been attacking Palestinian natives, properties, agricultural crops on an almost daily basis in different areas of al-Khalil. 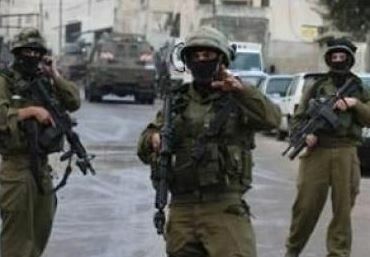 Along the same context, scores of Palestinian citizens in Yabad town, southwest of Jenin, suffered breathing difficulties following night raids by the IOF on Tuesday. The Israeli military vehicles raked through the Palestinian alleys and streets in a remarkably provocative way, amid random firing of sound bombs and tear gas, local sources documented. 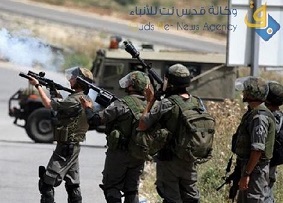 Violent confrontations broke out at dawn Tuesday between the Israeli Occupation Forces (IOF) and dozens of Palestinian unarmed youths at Hawara military checkpoint, south of Nablus, and at Fawar camp, south of al-Khalil. In Nablus, the confrontations broke out as the Palestinian teenager Alaa Awda was shot dead by the IOF at Zaatara checkpoint, eye-witnesses told a PIC correspondent. The IOF fired bullets and tear gas canisters at the Palestinian young men who could only react by throwing stones and empty bottles, the eye-witnesses further reported. Bystanders at the scene further documented IOF incursions east of Nablus, where large numbers of Israeli patrols deployed around several areas, including the Amman Street and the Balata refugee camp, so as to pave the way for settler break-ins into the shrine of Joseph tomb under the religious pretext. Meanwhile, similar confrontations erupted at Fawar refugee camp, south of al-Khalil, following IOF break-ins into the camp. Arbitrary firing of rubber bullets, tear gas, and sound bombs have been going on throughout. Scores of Palestinian civilians, including two-year-old children, suffered breathing difficulties throughout the attack, local sources documented. The Israeli attacks culminated in abrupt invasions into several Palestinian native homes in al-Dhahriya, where Youssef Abu Sharkh was rounded up by the IOF and carried to an unknown destination. Meanwhile, Rateb Abu Armila was brutally assaulted by the Israeli soldiers. Arab Knesset member Ahmad Tibi delivered an urgent letter to the Israeli Minister of Internal security Yitzhak Aharonovic asking for an investigation into the violence of the Israeli security forces in al-Aqsa yards a few days ago. According to a filmed video-shoot, seven Israeli soldiers swooped down upon a Palestinian elderly man and heavily kicked him with their boots in such a brutal and humiliating manner until the old man was finally dragged and thrown onto the floor. “All appeals by those who were around him went in vain and the Israeli police persisted in knocking the man around. Therefore an urgent investigation into the background of the assault is required from you. Israeli misdemeanors have bypassed all ethical, religious and even humanitarian red lines,” Tibi said in his letter. “This is not the first time we have seen with our own eyes the brutality of the Israeli police, to whom neither law nor humanitarian decrees really matter,” Tibi Further declared in a press statement on Monday, calling on the Israeli occupation authorities to forbid all potential breaches of the law. “Pictures speak for themselves. No way could we deny their veracity. Such Israeli attacks launched on the Muslim congregation in holy al-Aqsa yards must be brought to a halt, once and for all,” Tbibi added as he confronted the Israeli Police Inspector General Yohanan Danino and the Israeli minister Aharonovic with the video shoot, broadcast by Quds News Agency. 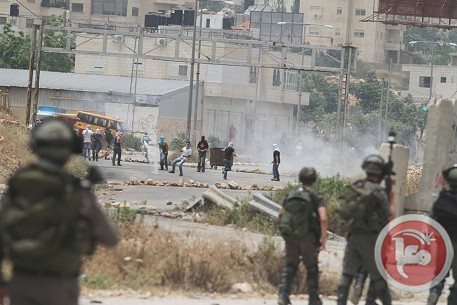 Israeli soldiers invaded, on Tuesday morning [June 3, 2014], Huwwara town, south of the northern West Bank city of Nablus, and clashed with dozens of local youths who threw stones and empty bottles at them. Awwad Najm, spokesperson of the Fateh Movement in Huwwara, stated the clashes took place along the main road in the town, and that the army fired dozens of gas bombs, concussion grenades, and rubber-coated metal bullets. Najm added that the main road is still jammed, as more soldiers were deployed in the area. He stated the army is still withholding the body of ‘Ala Odeh, 30, a resident of Huwwara who, on Monday night, was shot and killed by Israeli soldiers stationed at the Za'tara Israeli roadblock, south of the northern West Bank city of Nablus. Palestinian medical sources have reported that several Palestinians received treatment for the effects of tear gas inhalation after Israeli soldiers invaded Beit Ummar town, north of the southern West Bank city of Hebron. The sources said several military jeeps invaded Aseeda area, in the town, where they fired concussion grenades and gas bombs at a number of homes, causing dozens of Palestinians to suffer the effects of tear gas inhalation. Mohammad Awad, spokesperson of the Popular Committee against the Wall and Settlements in Beit Ummar, told the WAFA News Agency that the soldiers also attempted to ram a young Palestinian man with their vehicle, but that he managed to escape unharmed. On Monday evening, thousands of Palestinians held protests and marched in various neighborhood in Hebron city, and several nearby towns, in solidarity with hunger striking Palestinian detainees held by Israel. The Palestinians chanted slogans calling for ending the illegitimate Israeli occupation of Palestine, and the release of all political prisoners. Israeli forces arrested on Tuesday at dawn three Palestinian youths and summoned others after storming several cities in the occupied West Bank. Palestinian security sources said that the Israeli forces arrested Amir Jabari, 26, and took him to a disclosed location after breaking into his house in Jabari quarter in the occupied West Bank city of Hebron. The family of Tariq Hdeeb, a Palestinian citizen from the al-Fawwar refugee camp in Hebron, suffered serious suffocation as Israeli troops fired a tear gas bomb into his house. In Beit Ummar town near Hebron, the forces fired tear gas and sonic bombs at several citizens causing suffocation cases. The forces arrested ex-prisoner Ismail Eleyan after breaking into his house in the al-Deheishe refugee camp in Bethlehem. The Israeli forces stormed Burkin and Yamoun villages in Jenin, arrested Mojahid Qash, 33, summoned others and ransacked their homes. Israeli occupation forces shot dead a Palestinian near the crossroad of Tafoh in the northern Nablus, media sources reported. 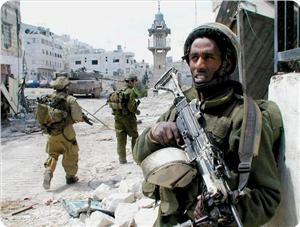 Alray correspondent reported that Alaa Ouda ,33, was killed in cold blood by an Israeli soldier . Witnesses said that the Israeli military closed the area and prevented Palestinian ambulance crews from approaching the injured young man, leaving him bleeding near the military checkpoint. 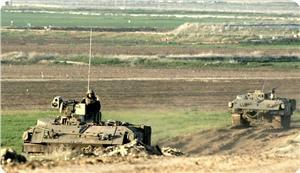 Israeli security sources claimed that Ouda shot fires toward the Israeli army and injured one soldier. The occupation forces stormed the town of " Hawara ", the birthplace of Alaa Ouda, and confiscated his laptop. Witnesses confirmed that clashes erupted between Israeli soldiers and dozens of Palestinian youth in several areas in Nablus, specifically near Balata refugee camp. Israeli navy gunboats opened fire at Palestinian fishermen and their boats off the coast of Gaza city on Tuesday morning. Media outlets quoted a fisherman as saying that the gunboats opened fire at the fishermen off Sudaniya coast to the north west of Gaza city while fishing within the six nautical miles allowed area of fishing. He said that the shooting caused damage to a number of fishing boats but no casualties were reported. He said that the fishermen were forced to go back to the beach to avoid possible injury. 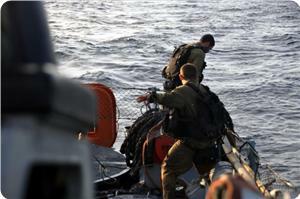 The Israeli navy targeting of Palestinian fishermen and their boats has become a daily practice. Occupied Jerusalem – Palestine, Sunday June 1, 2014; Palestinian medical sources have reported that at least six Palestinians, including two children, were injured after Israeli army jeeps invaded the al-Wad Street, in the Old City, and attacked Palestinians celebrating the release of two political prisoners. Local sources said the army attacked Palestinians celebrating the release of Ammar al-Hasry and Ahmad Abu Farha, as they peacefully marched from the al-Aqsa Mosque towards the al-Wad Street. The sources said the army first used pepper spray against the Palestinians before attacking them with concussion grenades. 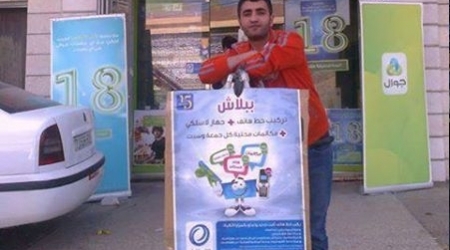 Soldiers also kidnapped a former political prisoner, identified as Mahmoud Abdullatif. The Palestinian News & Info Agency (WAFA) stated that the soldiers conducted provocative acts against the Palestinians, celebrating the release of the two detainees in the Old City of occupied Jerusalem, and fired concussion grenades at them. WAFA added that three Palestinians identified as Nour az-Zourba, only 3 years of age, Khaled Barghouth, 13, and Yasser Najib, 32, were moved to a local hospital for treatment. The rest received treatment by local medics at the scene. The two detainees, al-Hasry and Abu Farha, were released Sunday after al-Hasry spent 14 months in prison, and Abu Farha spent four months. Several armored Israeli military jeeps invaded the villages on ‘Anza and Zabbouba, in the northern West Bank district of Jenin, and fired gas bombs, concussion grenades and rubber-coated metal bullets causing various injuries. Local sources said the soldiers clashed with local youths in ‘Anza village, and that one child, identified as Hamza Abdullah Sharabty, 14, was shot by a rubber-coated bullet in his leg, while dozens of residents were treated the effects of tear gas inhalation. The soldiers also invaded Zabbouba village, west of Jenin, and clashed with dozens of local youths who threw stones and empty bottles at them. 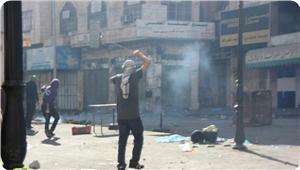 The soldiers fired gas bombs, causing several Palestinians to suffer the effects of tear gas inhalation. Eyewitnesses said the soldiers were driving in the village’s streets in a provocative manner, and closed some roads, an issue that led to clashes; no arrests were reported. Earlier on Sunday, soldiers invaded Hebron, in the southern part of the West Bank, and kidnapped five Palestinians, including on children. 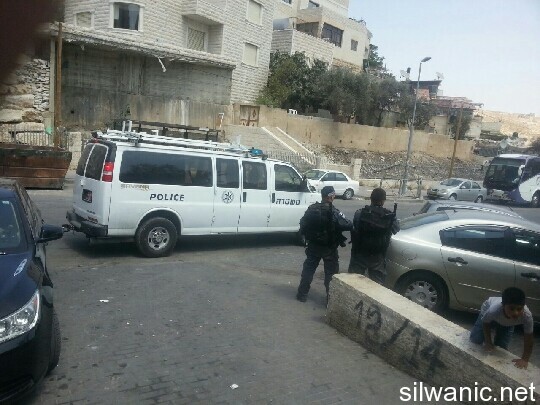 Israeli Soldiers invaded on Sunday evening [June 1, 2014], the al-Bustan neighborhood in Silwan, in occupied Jerusalem, leading to clashes with local youths, before the soldiers broke into a home of a former political prison, and kidnapped him. The Wadi Hilweh Information Center in Silwan stated that the soldiers kidnapped Samah Sarhan after breaking into his home and searching it. The Center added that violent clashes took place for more than two hours after the soldiers invaded the al-Louza neighborhood, and that the army fired dozens of concussion grenades, gas bombs and rubber-coated bullets targeting the Palestinians, in addition to various homes and stores in the town. It also stated that a number of young Palestinian men threw Molotov cocktails and stones at cars driven by undercover Israeli soldiers, who infiltrated the town in an attempt to kidnap residents. Some of the cars driven by the undercover soldiers were hit, but no injuries were reported. Eyewitnesses stated the soldiers also fired three concussion grenades into a local carpet store, causing property damage. The Wadi Hilweh center also stated that the soldiers prevented its cameraman, Majd Gheith, from entering the al-Louza neighborhood, and attacked him before forcing him out while pointing their guns at him. Israeli airstrikes targeted two sites in the Gaza Strip overnight Sunday, Israel's army and locals said. A military base used by Hamas' military wing, the al-Qassam Brigades, was hit south of Gaza City, while another strike hit a training site west of Khan Younis in southern Gaza. 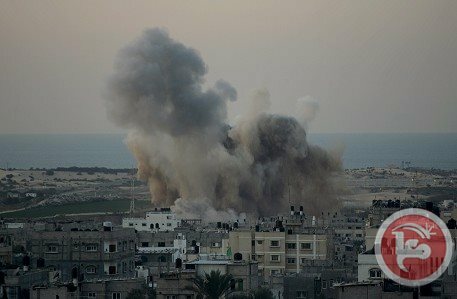 Israel's army said in a statement that the "IAF aircraft targeted two terror sites in the central and southern Gaza Strip. Direct hits were confirmed." Meanwhile in the north, Israeli troops fired across the Syrian ceasefire line in the occupied Golan Heights after a projectile struck Israeli territory, the military said. "Earlier this morning, a projectile fired from Syria exploded near an Israeli position on Mount Hermon," a military spokesman told AFP, saying troops had responded with artillery fire towards the area from which it came. Army radio said three mortar shells had been fired from Syria, although only one had struck inside Israeli-held territory. Israel, which is technically at war with Syria, seized 1,200-square-kilometre of the Golan Heights plateau during the 1967 Six-Day War and later annexed it in a move never recognized by the international community. Since the Syrian conflict erupted in 2011, the plateau has been tense, with a growing number of projectiles, mostly stray, hitting the Israeli side, prompting an occasional armed response. 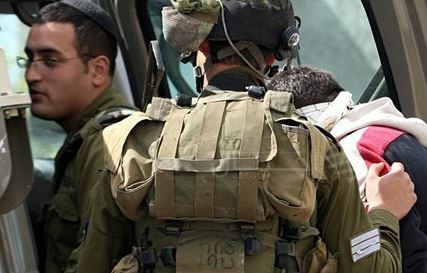 The Israeli occupation forces (IOF) at dawn Sunday stormed Asira al-Qibliya town, south of Nablus city, and kidnapped eight Palestinian citizens from their homes. Eyewitnesses told the Palestinian information center (PIC) that Israeli troops raided and ransacked several homes in the town and kidnapped eight young men affiliated with the democratic front for the liberation of Palestine. In an earlier incident, the IOF invaded last night Askar refugee camp to the east of Nablus and kidnapped a young man after raiding his house. The invading troops also blocked the entrance of Askar camp and restricted the movement of its residents. They detained a Palestinian taxi driver for more than three hours at the entrance, searched his vehicle and confiscated his ID card, according to eyewitnesses. 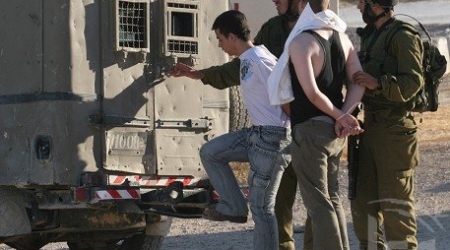 The IOF also launched last night a campaign in Yabad town, south of Jenin, and clashed with some young men. Dozens of Palestinian protestors on Saturday suffered bullet and tear gas injuries when the Israeli occupation forces (IOF) violently attacked the peaceful march they organized in Tulkarem city in solidarity with hunger striking prisoners. As they were marching towards the annexed land of Khadouri university to the west of Tulkarem city, the IOF showered them with a hail of tear gas grenades and fired rubber bullets at them, which rendered more than 50 protesters wounded. The protestors marched chanting slogans and carrying banners in solidarity with the hunger strikers in Israeli jails until they arrived at the barbed wire fence and the segregation wall to the west of Tulkarem. Eyewitnesses reported that the protestors, upon their arrival at the area, tried to forcibly enter the gate of the fence and used pickaxes to make a breach in the wall. Consequently, violent clashes broke out between the protestors and Israeli soldiers in the area between the fence and the annexed land of Khadouri university. Following the events, the protestors marched to the sit-in tent in Tulkarem, which was erected in solidarity with the Palestinian hunger strikers in Israeli jails. 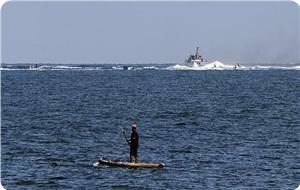 A Palestinian fisherman was wounded in Israeli navy shooting off the coast of northern Gaza Strip afternoon Friday. Dr. Ashraf al-Qudra, the health ministry spokesman, told the PIC reporter that a 22-year-old fisherman was hit with a rubber bullet in his foot while working at sea, describing his condition as moderate. Meanwhile, six other fishermen were kidnapped by Israeli navy gunboats while working off the coasts of Gaza at dawn Friday and on Thursday night. Sources in the marine police told the PIC reporter that four fishermen in two fishing boats were chased off the coast of Sheikh Ajleen in Gaza city. They said that the navy personnel assaulted the fishermen after detaining them and took them along with their boats to Ashdod port. The sources recalled that Israeli navy gunboats chased a third boat earlier on Thursday night and arrested Hamdi Abu Warda along with his brother Ahmed, who is only 13 years old, and confiscated their boat. Israeli navy forces have escalated their targeting of Palestinian fishermen and their fishing boats over the past few days despite fishing in the allowed area.